North Head Sanctuary — We Are BEST. Turning a complex mixed-use former military site into a thriving tourist destination and local nature haven at North Head Sanctuary in Sydney was no easy task. What stands out for this project is how important it is for us to really listen to the needs of each of the stakeholders. We understood, as a team, that the ultimate success of this project would be determined by making sure that all the parties needs are met, in line with the overall desired outcome of the project. Being pragmatic and persistent not only allowed a successful completion, but granted the project a silver medal in the Sydney Design Awards. At the heart of this project was the natural elements of the location, we wanted to ensure that the solution we created was sustainable & cost effective. 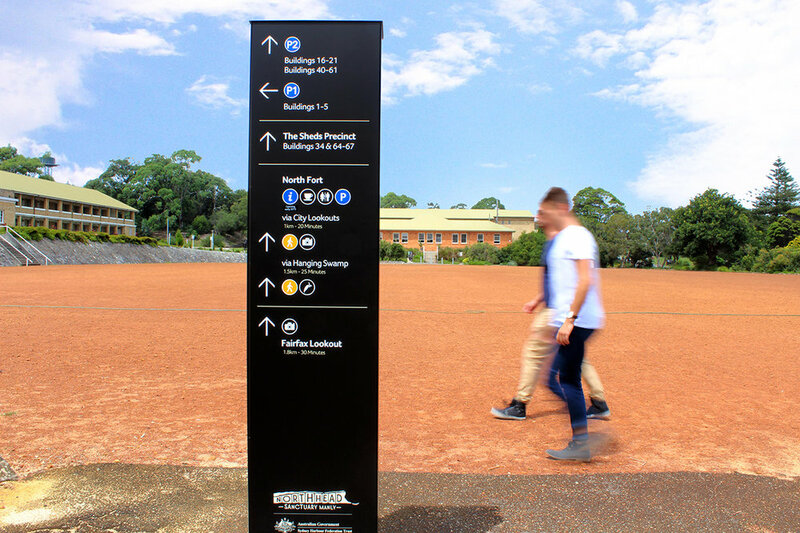 With over 300 signs to install, we wanted to create a better way, so our design team set to work, creating a new way to fix the signage to the ground. This new process left minimal environmental impact and cut the installation time and cost for each sign by 90%.